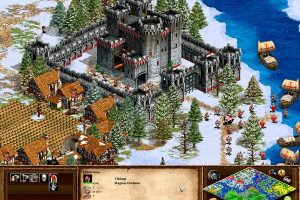 "Great update for Age of Empires II with new civilizations and enhancements"
Age of Empires II: The Conquerors Update brings a variety of new features and enhancements for this great strategy game created by Ensemble Studios. As soon as you apply this update you will discover the new civilizations, in each one with unique elements and technologies;we mention the Mayans, Aztecs, Koreans, Spanish and the Huns. Age of Empires II: The Conquerors Update focuses on legendary leaders. The novices and veterans will be challenged by famous conquerors, such as Attila the Hun, Montezuma and the Cid; causing the beginning of wars on an epic scale with the new civilizations. This update will also solve some incompatibility matters with certain computer configurations and fix some errors from the original version. This make a big difference, which you will notice when you play the game.